Thomas Jefferson may have been our nation’s earliest wine enthusiast. As the American ambassador to France in 1784, he is known to have loved French wine, and visited many chateaus when he lived there. As Buffalo ramps up for the Hamilton tour at Shea’s, we had the pleasure of viewing a living relic from the era: a tree Thomas Jefferson planted at Chateau Carbonnieux when he served as ambassador to France in the late 1700s. 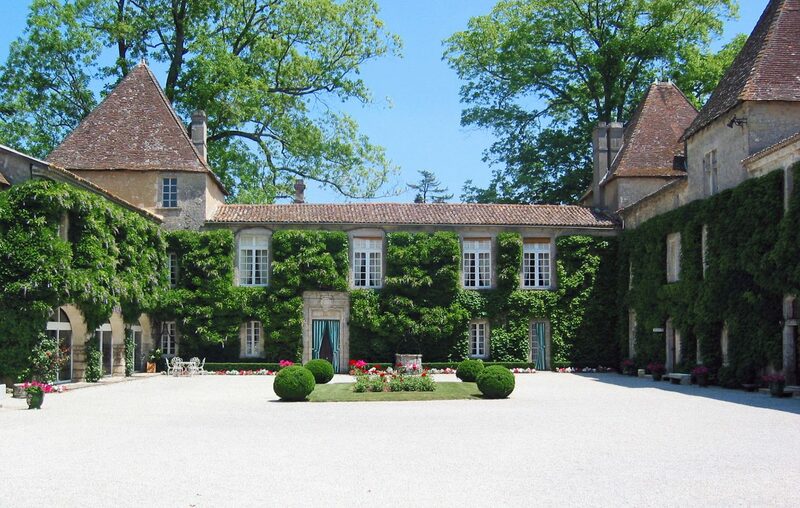 The Perrin family has owned Chateau Carbonnieux since 1956 and has done an amazing transformation of the winery. Prior to their ownership, the Benedictine Monks from the Sainte-Croix Abbey renovated the estate in the 18th century. The wines were equally as poetic. We tasted both reds and whites, including 2016 Vintage, consisting of 70 percent Sauvignon Blanc and 30 percent Semillon. Our group raved about this wine, which tasted of many light but complex flavors like citrus, pears and apples. I asked for another taste because it was so delicious. The red we tasted was a 2015 Grand Cru Classe, their flagship wine and one of the best in Graves. It sells for around $75. Everyone loved this elegant Bordeaux, which featured beautiful dark fruit and a finish that goes on and on. I would love to have a case in my wine cellar. When you’ve been traveling and enjoying wine as long as I have, it’s amazing how a bottle of wine, found accidentally in the wine cellar, can bring back wonderful memories. It’s like a time capsule of sorts. Case in point: While reorganizing, I recently found two bottles of Swanson wine. They immediately brought back two great occasions: the first was from July 1994 when we visited the newly opened winery in California. There was no tasting room or fancy lunch…but there was terrific wine. It was late morning and we sat outdoors with host Michael Updegraff. We tried many wines I loved, but I wasn’t fond of the Sangiovese…or so I thought. Michael, who saw me push away the glass, taught me a great thing about wine that day: Later, at lunch, he poured the same Sangiovese, and I was shocked at how much I enjoyed it with the Italian food we were eating. Not long after, my friend Burt arranged a Swanson tasting in Buffalo, which Updergraff attended. After an amazing dinner and tasting, we drove him back to his hotel. The surprise came the next morning when I got into my car and noticed something in the back. Updergraff had put several bottles of wine upside down in my back seat pockets and left them for us to find. It was these same bottles I found recently: Syrahs from 1992 and 1993. I was worried that I waited too long to drink them, but when we opened them up, discovered the ’92 was outstanding and the ’93 even better, with lots of fruit and a beautiful ruby color. It also prompted me to look up Updergraff and reconnect. Some people have scrapbooks…we have wine bottles.